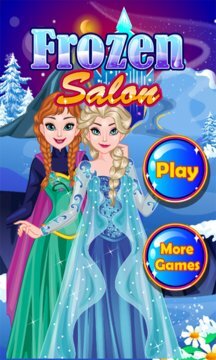 Be a beauty queen living in a magic castle with Frozen Princess, a fun dress and makeup game just for girls! A good princess has to keep up with the latest fashions, and that's why she needs your help! Make each girl a true beauty queen by picking out magical outfits for her to wear. An enchanted crown, golden jewelry, diamond earrings, silver shoes and much more. The princesses need to dress to be the most beautiful girls in the castle! Staying pretty is more than just a nice outfit. You also need to take care of each girl's makeup. Choose the right colors and style them on your beauty model using the touch screen. 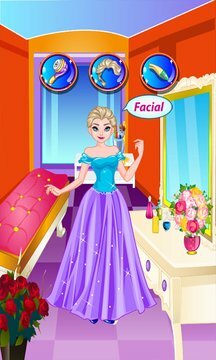 Select hairstyles that match the princesses' makeup and dress, then send her out to the magic ball. It's going to be the best one the castle has ever had! Don't let these princesses down. Make them the most beautiful girls in the world! - Dress princesses in beautiful outfits and jewelry. - Apply makeup and accessories to each girl. - Choose shoes, hairstyles and much more! - Use the touch screen to select different outfits. - Change designs with a few taps on the screen. What are you waiting for? Let’s become fashionable and beautiful!